HUM is grateful to MP for Hall Green, Birmingham, Mr. Godsiff for asking a Written Parliamentary Question from the UK Home Office of the following question. This question was requested by HUM and the MP had kindly consented to seek answer of the UK Home Office. 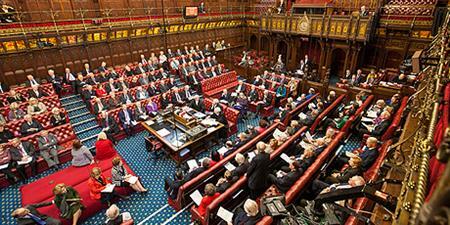 Please click on the below link to read this Question and the Answer on UK Parliament’s official website. To ask the Secretary of State for the Home Department, whether her Department takes into account reports produced or evidence submitted by non-governmental human rights organisations in deciding on claims for asylum made on the grounds of political persecution or a risk to someone’s life. In reaching decisions on asylum claims, caseworkers have access to a wide range of published country of origin information produced by the Home Office, which includes reference to reports produced or submitted by national or international human rights organisations. The West tells Muslims to condemn terror but Britain wants to deport a prominent anti-Taliban campaigner back to Pakistan. Doing so would seal his fate. At the end of last year, the world recoiled in horror as the Pakistani Taliban launched an attack on a school in Peshawar that killed 145 people, the vast majority of them children of members of the country’s armed forces. It came against the backdrop of a government campaign against militants in the tribal regions of the country which has thus far taken the lives of thousands of innocent civilians. In the days following the attacks, global leaders united in their condemnation of the bombing, also taking the opportunity to speak about the threat posed by extremist groups who follow the Saudi-backed Wahhabi ideology – in the Pakistani context, the Deobandi school of thought. Last week, as people were fixed to their television sets watching the dramatic events in Paris unfold in real time, demands were already being made on innocent Muslims to “condemn” the actions of terrorists. While such derisory demands deserve the contempt they have been met with, they ignore a few wider truths. The first is that, as a 2009 study shows; extremist groups like al-Qaeda kill 8 times as many Muslims than Non-Muslims. This research was conducted before the rise of the so-called Islamic State last summer who have overwhelmingly targeted Muslims, in particular Shia Muslims who they deem heretics and apostates and whom they instruct their young and brainwashed recruits to kill. The second is that there exist numerous brave Muslims who have stood up to the extremists at considerable risk to their own personal safety. 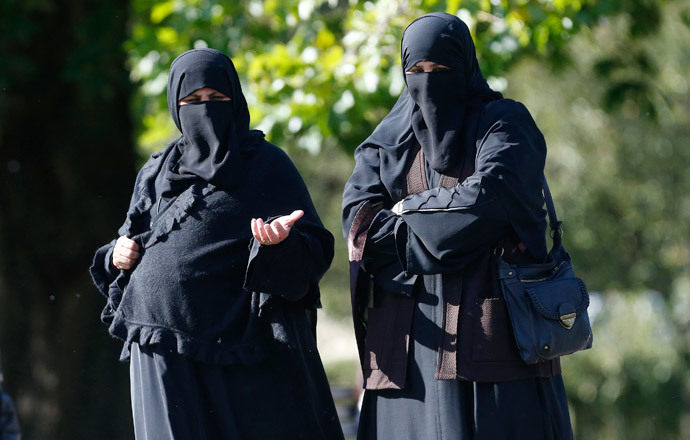 They live under death threat and make their stand, not because they have been prompted to by hypocritical politicians or right-wing media demagogues, but because they consider it a religious duty to resist the extremist trend ravaging their faith. So it beggars belief that in the current environment, the British government has been working to deport one such activist back to his native Pakistan. Liaquat Ali Hazara has been a prominent critic of the Taliban for the last 4 years. Initially in the UK as a student, he began his political activities after the Sunni-extremist group Tehrik Taliban Pakistan (TTP) launched bomb attacks which targeted the Hazara Shia minority, killing scores of innocent people. But Liaquat hasn’t limited his campaigning to just the Shia, regularly advocating for the rights of Christians, Ahmedis and Sunnis in Pakistan. Liaquat led protests outside the Pakistani embassy demanding authorities there take action to stop the ongoing gun, bomb and suicide attacks which regularly target Pakistan’s Shia and in particular the Hazara, easily recognizable by their distinct mongoloid facial features. For this, militants back in Pakistan issued death threats, even going so far as hand delivering them to his parent’s home in Quetta, capital of the Baluchistan region. Much has been written and said of the role played by Pakistan’s security agencies in the growth and support of extremist groups like the Taliban. There is no guarantee that the police or army could protect Mr. Hazara’s life. He himself believes that he wouldn’t make it to his front door before being abducted and killed. That reflects the view of human rights organizations who have documented the relentless campaign of terror waged against Pakistan’s Shia community. 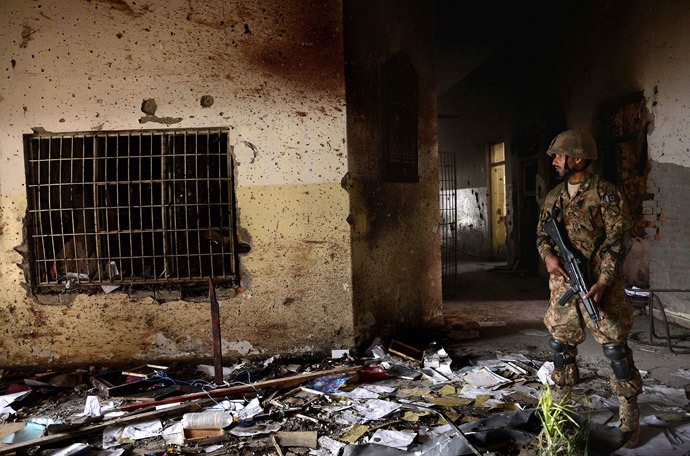 In this photograph taken on December 18, 2014, a Pakistani army soldier stands guard at the site of a militant attack on an army-run school in Peshawar. The UK Home Office say they have reviewed Liaquat’s case and in spite of the death threats, the documented abuses in Pakistan, the lack of action by authorities there to reign it in, and the testimony of human rights groups, community leaders and religious groups of all denominations, they don’t see a threat to Liaquat’s life. Liaquat had been held at a removal centre near London’s Gatwick Airport for several months, living under the fear of being put on a plane and sent back to Pakistan at any moment. That nearly came to pass in October when Liaquat was physically being prepared to be placed on a flight to Pakistan before he was given a short-term last minute reprieve. 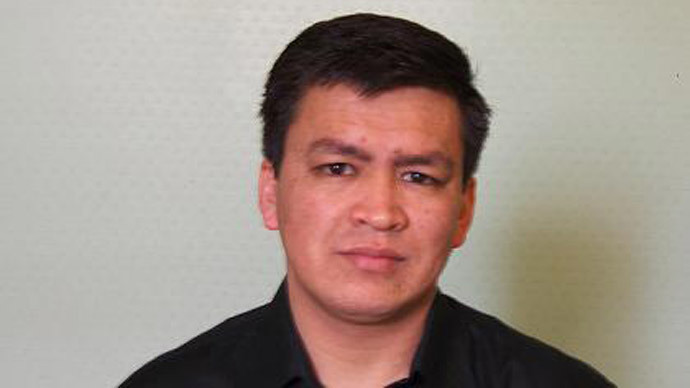 Then just last week, a judge bailed Mr. Hazara so he could go home until his appeal against deportation is heard. If the Home Office succeeds in deporting Liaquat and others in a similar situation to his, the only outcome will be a further erosion of trust between the government and the Muslim community in the UK. It would merely show that on the one hand the government calls on the community to fight extremism and on the other, it deports those who do take a stand to their certain death. And with government measures already contributing to increased tensions and suspicion, nobody would win in such a scenario. Posted in United Kingdom (General) and tagged Conflict, Pakistan, Politics, Protest, Religion, Terrorism, UK, Violence. Bookmark the permalink. HUM feels immense pleasure to formally announce that Liaquat Ali Hazara, the Founder and the incumbent Chairman of this Organisation; was bailed yesterday who has confirmed to arrive home safely late last night. For LAH, these six months have been extremely demanding, testing and challenging which testified the predicaments of the detainees inside various Immigration Removals Centres across the UK. While lauding the efforts and endeavour of various British and international communities, UN agencies, human rights organisations of international-repute, Members of British Parliament, media outlets, community leaders, mayor(s) and councillors, academicians, political, welfare and academic organisations, and campaigners and supporters are, particularly, mentioned in the following lines to acknowledge the magnitude of their contribution and pay unreserved gratitude through this communique. Among the above named MPs, the kudos must be conferred to Mr. Jeremy Corbyn who tabled the motion in the EDM. In addition, it is absolutely unfair if the practical, moral and ethical support of MP, Ms. Amber Rudd is not made mention of in these lines. The par excellence contribution of MP Amber Rudd as such was exemplary throughout which will, definitely, strengthen the foundations of human values. (xxxi) The Mayor for Waltham Forest and its Councillors (12) who signed a Resolution, asking the UK Home Office for immediate release of LAH and reconsideration of his case. Please click on the links below to watch video coverage of the story and read more about it.